We support a variety of community food growing and sharing initiatives in the City of Boroondara. running sustainable living workshops through our Living for our Future program, such as how to grow organic food successfully and control pests without toxic chemicals. community food gardening on private land, facilitated by groups like 3000acres. 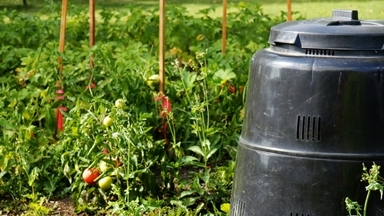 Most of the following local community gardens have private growing plots. It's important to note that there are usually long waiting lists. For more information see Alamein Community Garden. For more information, email Ashburton Community Garden. Volunteer casually and take home a share of the produce. Located in the City of Monash, but a great resource for City of Boroondara residents. See Ashwood College Permaculture Food Garden's Facebook page. For more information visit the Balwyn Community Garden. For more information, email Canterbury Community Garden. For more information, email Hawthorn Community Garden or visit their website. A community-maintained food forest at Winton Road Reserve growing organic, sustainable food. For more information visit Winton Road Food Forest. For more information contact Burwood Neighbourhood House. Based at the Kew Neighbourhood Learning Centre. For more information, visit Green Gully Organics' Facebook page. A group of volunteers collecting and distributing surplus fruit from home gardens. See Kew Neighbourhood Learning Centre for information about joining or to offer your garden for harvesting. 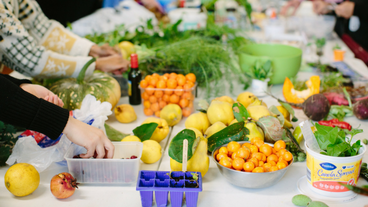 For more information visit Surrey Hills/Balwyn Community Centre Food Swap. 3000acres: a not-for-profit group providing a platform for mapping vacant land suitable for community gardening and bringing together interested people to help establish and run gardens at these sites. My Home Harvest: a website dedicated to urban agriculture. It’s full of interesting ideas, updates and options for sharing information. Sustainable Gardening Australia: a great website loaded with practical information on growing food and troubleshooting fruit and veggie growing problems. 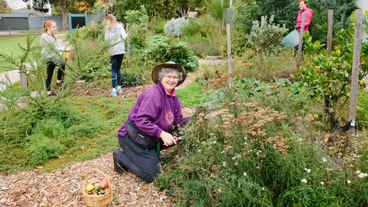 Cultivating Community: a Melbourne-based not-for-profit organisation building community and volunteer involvement in urban agriculture projects including community gardens, school food gardens and food waste avoidance projects. Food Alliance: this research and advocacy group brings together a range of stakeholders - farmers, community gardeners, food distributors and retailers, health providers, the education sector, local government and others - to help develop a thriving urban agriculture network in Victoria. Backyard Honey: this family business sets up and helps maintain bee hives in homes across the City of Boroondara. The first 10kg of honey is provided to ‘hive hosts’. Ripe Near Me: a web platform for sharing and selling locally produced fresh fruit and veggies. discuss issues and seek their feedback on how we might work together to expand local food growing and sharing opportunities. We then developed the Growing and Sharing Local Food in Boroondara Community Consultation Report, which revealed there is a high level of interest in local food growing and sharing and that many in our community are already actively involved in growing and sharing food. Another outcome of the consultation is our Establish a new community garden booklet, which provides useful information, resources and guidance for community groups interested in establishing a community garden in our City. For more information on community gardens and food growing and sharing, call 9278 4011 or email Environment.